Okay, it's time for another round of random stuff I found on Pinterest. I promise for an actual coherent post featuring a cookie recipe at some point, but not today. 1. I feel like such a redneck having Miss Priss' plastic slide and toys hanging out in our front yard, all willy nilly. 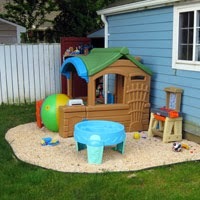 It's time to get the back yard in order- we have the perfect spot to put a play area just like this one. I sense a project coming up for Morgan. . . or me and Mama more likely. 2. I always feel like I am impossibly behind on recording things that my child(ren!) do, and I won't remember them. Because I am, and I won't. 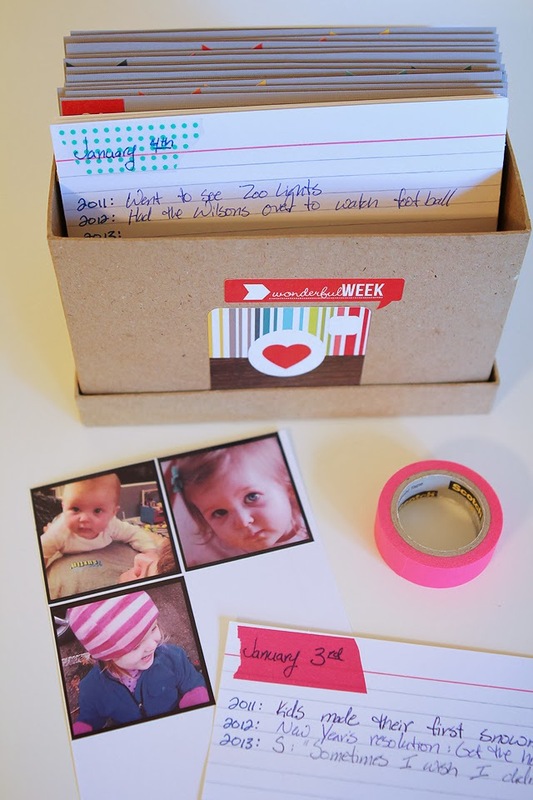 If I could get my tail in gear and make a simple memory box like this, it would greatly help. Maybe a magic elf will make me one? It's pretty cute, simple and looks like it would be doable for sure. 3. Between being 9 months pregnant, extreme cold and snow, and now having to juggle a newborn and a terrible just-turned-two-year old (who's not terrible at all, just ready to play at all times), we have been watching entirely too much tv. I have the Sofia the First theme song in my head constantly. Completely unrelated aside- one of my best friends from college had White Christmas stuck in her head for about six months one summer and fall. Now whenever I have a song stuck in my head for longer than a day, I think of Virginia crooning "I'm dreaming of a whiiiiiiii-te Christmas. . ." as we headed to tailgates or sat by the pool. It was amazing. Anyway, so in all my spare time, when I am not busy keeping children alive, working, trying to keep dog hair at bay, or sleeping, I am going to try out some of these fun activities for Dell Harper, in an attempt to keep TV watching to a manageable level. They might also be helpful for the copious amount of time I spend nursing. 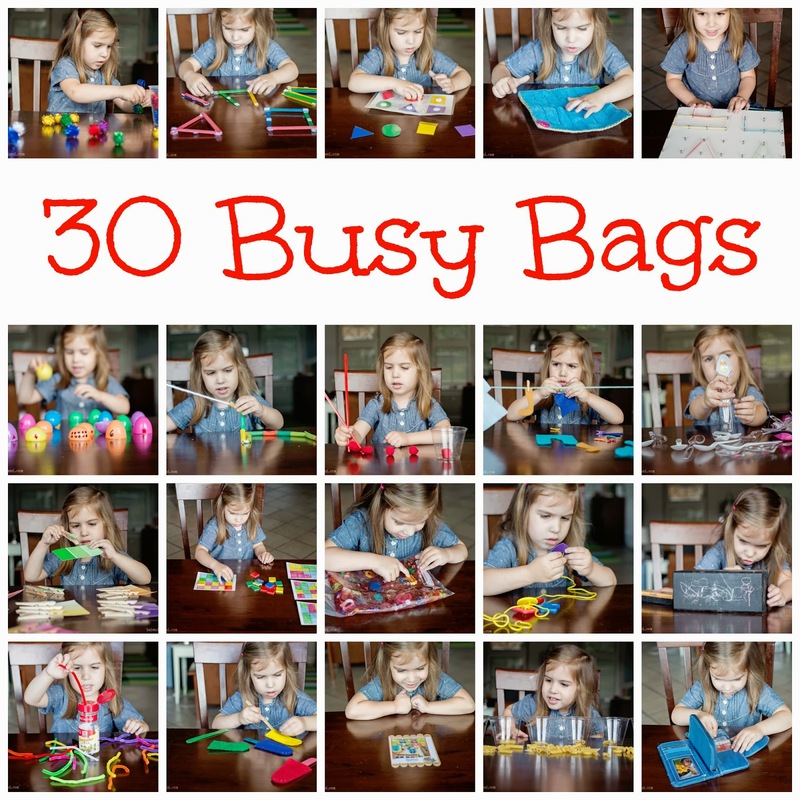 So Busy Bags to the rescue. I'm excited- hitting the dollar store tomorrow, and hope it will inspire me! 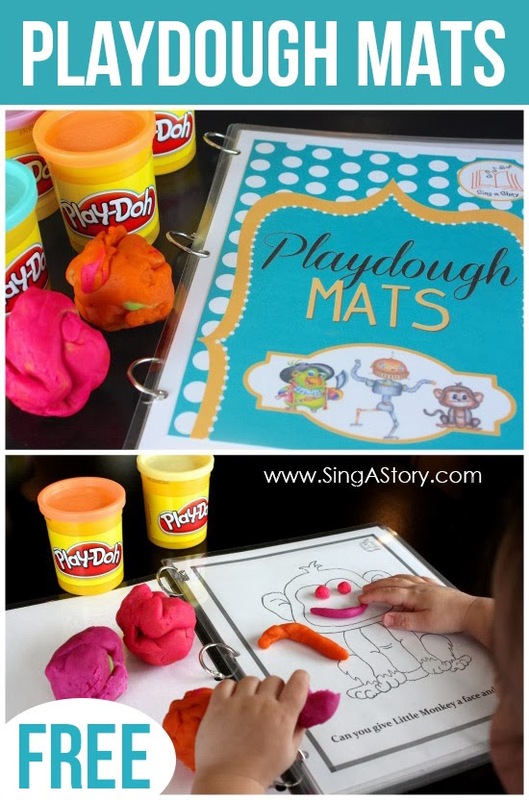 And playdough mats? How fun are these? So, I'm feeling all inspired. However, considering it's taken me three days to write this post, and I have a thirty page statute to read for work, Dell Harper will likely no longer be a toddler by the time I get around to making this cool stuff for her. It's all about intention, right? If y'all have any (screen-free) tips for occupying big sister while nursing an insatiable newborn, please let me know! She is good about 75% of nursing time, but manages to wreak a lot of havoc that other little bit. Rachel has some fun toddler ideas that would also work at your dollar store spree - lots of play with around the house items.